Multiplex entertainment this distinctive and provocative doesn’t come along every day: it’s a head trip well worth taking. 138 min. Paramount Pictures. Director: Martin Scorsese. Cast: Leonardo DiCaprio, Mark Ruffalo, Ben Kingsley, Michelle Williams, Max von Sydow. Movie projectors have shutters that regulate the output of light, and cameras have shutters that regulate the intake of light, not unlike the iris of the human eye. 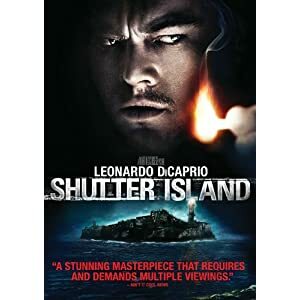 So it is, then, that Shutter Island, Martin Scorsese’s new film from Dennis Lehane’s novel, takes on a self-reflexivity reminiscent of the work of two of Scorsese’s idols, Alfred Hitchcock and Michael Powell. With its symbolic lighthouse keeping silent watch, Shutter Island tells an age-old story—one that goes back over two thousand years to Sophocles—of the human capacity to withhold or accept light (a.k.a. the truth) as it insistently shines into our Jungian Shadows. Jutting disconcertingly from Boston Harbor, the foreboding Shutter Island is home to Ashecliffe Hospital for the Criminally Insane. In 1954, U.S. Marshal Teddy Daniels (Leonardo DiCaprio) and new partner Chuck Aule (Mark Ruffalo) arrive to investigate the mysterious and perhaps fatal disappearance of a female patient. They meet with stone walls both literal and figurative, as chief physician Dr. John Cawley (Ben Kingsley) and colleague Dr. Jeremiah Naehring (Max von Sydow) discuss and display defense mechanisms. Something lies beneath the orderly surface of Ashecliffe, but what? A postwar alcoholic, Teddy is haunted by varieties of violence: the untimely death of wife and children in an apartment fire; his war experience, including the liberation of Dachau; and now, on Shutter Island, the psychological violence between men as ideologies clash for dominance. Even the psychiatric profession is at war, with surgical and pharmaceutical options jockeying for sway over old-fashioned person-to-person therapy. Teddy’s investigation will take him into the heart of a dark labyrinth, literally (in the form of the off-limits “Ward C”) and figuratively as he is pulled down into the claustrophobic insanity of the place he’s supposed to be investigating. (Some of the film’s first words are famous last words, spoken by Teddy to a warder: “You act like insanity is catching”). A mystery and a paranoid thriller with more than a touch of Gothic horror, Shutter Island gives Scorsese plenty of to work with. In most respects, his direction here is masterful: the music (a modern-classical collage soundtrack again produced by Robbie Robertson), the richly detailed production design of Dante Ferretti, and the overall genius of Scorsese’s audio-visual storytelling transcend the practical element of Laeta Kalogridis’ purposefully cluttered screenplay to feed a fever dream (aptly, the famed German expressionist silent The Cabinet of Dr. Caligari was another inspiration to the filmmaker). Because it’s a Scorsese film, the cast is cream of the crop. Along with Ruffalo, Kingsley and von Sydow, Michelle Williams, Emily Mortimer, Patricia Clarkson, Jackie Earle Haley, Ted Levine and John Carroll Lynch all strike appropriately dissonant notes that contribute to the picture’s unsettling tone. As for DiCaprio, he’s never been better; pushed to extremes, he ably conjures the torturous strain of each situation. The overlong midsection of Shutter Island can be trying, and certainly, apart from the presence of its star, the film is defiantly uncommercial in its sometimes indulgent arrhythmia and its tingly unreliable narrative. But multiplex entertainment this distinctive and provocative doesn’t come along every day: it’s a head trip well worth taking. Paramount delivers an astonishing A/V transfer for Martin Scorsese's latest film, Shutter Island. The first thing one will notice is the bold color, which comes through in a pallette of accurately rich hues. The image is infallibly crisp while retaining a light grain that lends the transfer a film-like appearance; detail and texture are exceptional and blacks are pleasingly inky, crucial to a transfer of this shadowy film. This is a highly engrossing, darkly beautiful image that shines on hi-def Blu-ray. The audio is equally effective, in a definitive, lossless, immersive DTS-HD Master Audio 5.1 mix that maximizes the film's found ambient score and the creepy ambience of the asylum's grounds while never sacrificing the clarity of dialogue. The sole bonus feature—but it's a solid one—is the two-part making -of featurette "Behind the Shutters/Into the Lighthouse" (37:31 with "Play All" option, HD), which includes behind-the-scenes footage and interviews with director Martin Scorsese, Leonardo DiCaprio, Emily Mortimer, Patricia Clarkson, author/executive producer Dennis Lehane, Michelle Williams, Mark Ruffalo, Ben Kingsley, psychiatric consultant Dr. James Gilligan, and production designer Dante Ferretti. There's a spoiler warning, as "Behind the Shutters" puts a focus on useful deconstruction of what you've just seen, with Scorsese and the actors pointing out hindsight hints to the film's twists; "Into the Lighthouse" turns its attention to the historical context of mental asylums and psychiatric care, particularly the 1950s "war" over the proper course of treatment for the mentally ill.
Film fans will consider this film a must-buy, especially in its superior Blu-ray edition. All site content © 2000-2019 Peter Canavese. Page generated at 04/17/2019 09:01:15PM.